In most places, a business deal that goes sour can get you fired. In Vietnam, it could cost you your freedom. For decades, Vietnam's economic growth has been the envy of its developing neighbors in southeast Asia. In the last 20 years, GDP growth has fallen only once below 5%, typically hovering around 8% as the single-party state has attracted tens of billions of dollars in foreign investment and seen poverty rates drop below that of India, China and the Philippines. But Vietnam's latest debacle involving two senior Australian executives may make investors think twice before getting into business with Vietnam. Tristan Freeman and Daniela Marsilli, the chief financial officer and chief operating officer of Qantas' Vietnamese operation, Jetstar Pacific, have been stranded in Vietnam since authorities prevented them from flying home to their families for Christmas. 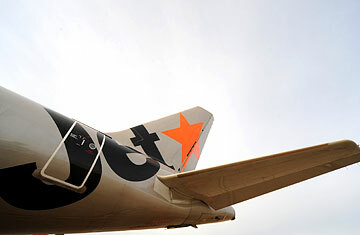 Earlier in 2009, Vietnam launched an investigation of the high-level executives after the airline, a Vietnamese and Australian partnership, reported a $31 million loss from bad bets on fuel futures, agreements on the future price of oil that committed Jetstar Pacific to paying above market rates for their jet fuel after oil prices dropped. Freeman and Marsilli have not been charged with a crime yet and are officially being held "to respond to the requests from Vietnam's legal authorities in a timely manner." But Vietnam has strict laws on the books against losing state resources through economic mismanagement, potentially criminalizing the consequences of standard business risks. News of the pair's interrogation and travel-ban was released last week, and Qantas says Vietnam's investigation into Jetstar Pacific could last months, leaving the two Qantas employees stuck in Vietnam indefinitely. One Vietnamese national, the former Jetstar Pacific general director Luong Hoai Nam, was also arrested for "irresponsibility causing serious consequences," according to state media. The Vietnamese government's investment arm, the State Capital Investment Corporation, owns 70% of Jetstar Pacific and Qantas owns 27%, until 2007 the airline was fully owned by the Vietnamese government. In other words, Nam, Freeman and Marsilli lost the state a lot of money after investing in fuel futures when oil prices were escalating in 2008, eventually peaking at $147 a barrel in July, before oil prices slumped to a low of just over $30 in December 2008. But Jetstar Pacific wasn't alone in its fuel-hedging bets; other regional airlines such as Cathay Pacific and Singapore airlines also reported losses from similar transactions. Airlines use fuel futures to ensure a predictable fuel price, but they can lose big if the price of oil plummets as it did at the end of 2008. The CEO of Qantas, Alan Joyce, told reporters last week that Freeman and Marsilli did nothing wrong. The fuel hedging, Joyce said, was part of the "normal course of business practice." Many analysts worry that the detention of Freeman and Marsilli signals a reversal of the Vietnamese government's widely lauded market reforms. With spiraling inflation and the global financial crisis taking a bite out of the country's crucial export sector, some say government hardliners have responded by rolling back economic and personal freedoms. Late last year, Vietnam blocked Facebook and Twitter and arrested a number of pro-democracy activists. Jetstar Pacific, as the only joint venture domestic airline in Vietnam, could have become a target for conservatives who resent giving up control to the private sector  especially as Jetstar has increased its market share at the expense of the state-run Vietnamese Airlines. Carl Thayer, a politics professor at the University of New South Wales, says the Vietnamese government is still "uncomfortable" with private competition and that its treatment of Jetstar Pacific is part of a "backlash against aspects of the globalizing economy." This isn't the first time that Vietnam has detained staff from a foreign company after losing money. In 2006, the Vietnamese government arrested four employees of ABN AMRO, a Dutch bank, for fraud after the government lost money on a foreign currency contract. To end the dispute, ABN AMRO paid $4.5 million to a Vietnamese state-owned bank, apparently to secure the release of the four Vietnamese employees who faced the death penalty. Many investors hoped this was a small bump on the path to further economic reforms, and it didn't slow Vietnam's entry into the World Trade Organization in early 2007. This week, however, the Civil Aviation Administration of Vietnam (CAAV) has drummed up new charges against Jetstar Pacific, in addition to its investigation of Darsilli and Freeman. On Wednesday, state-media reported that Jetstar Pacific had violated maintenance regulations and concealed broken aircraft parts. A Qantas spokesperson said that at all times the planes had met regulatory requirements and that the CAAV brought up only "quality, not safety concerns." Thayer, however, predicts that Vietnam will try and continue to try to find small oversights to "extort" Qantas like they did ABN AMRO more than three years ago. "They just find one little mistake and the foreigner is wrong," he says. Still, Vietnam remains a potentially lucrative growth market that had a stronger than expected showing at the end of 2009, and it remains to be seen if the Jetstar Pacific imbroglio will significantly deter new foreign investors. Even though Communist hardliners have clamped down on some freedoms, the government nonetheless promised in November it would soon allow foreigners to own 49% of local businesses, up from 30%. As Vietnam's Communist Party encourages economic growth without wanting to let go of power, it's only setting itself up for more clashes with foreign partners.